It was created in the 10th century as a fortress for the people of Navarre and together with the Davalillo castle it formed a line of defence. The town inherited the chains depicted on the shield from the kingdom of Navarre, which was the ruling power. Easter: The Medieval «Picaos» tradition. Since the 16th century, the Vera Cruz Guild has organised traditional processions and flagellations during Easter, on Holy Thursday and Good Friday, during the Cruz de Mayo spring festivities and in September. The most important of these is the «picaos» procession, which is when the guild's penitents whip themselves in public. This is an ancient tradition that has not been seen in the rest of Spain for centuries. The ritual begins at the feet of the image of La Dolorosa. 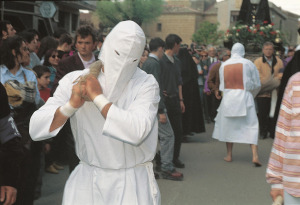 The penitents take off their grey capes and begin to flog their naked backs using a whip made of cotton rope. Guild members then prick their backs with glass so that they bleed. -Surrounding area: The 11th century Romanesque Basilica of Santa María de la Piscina. The single nave in this church leads to a semi-circular apse. It was founded in 1088 by prince Ramiro. According to legend, Ramiro took part in the taking of Jerusalem and entered the city through the Pool of Bethesda, where he found an image of the Virgin and brought it back to Navarre. He ordered this church to be built in her honour and it was given her name. 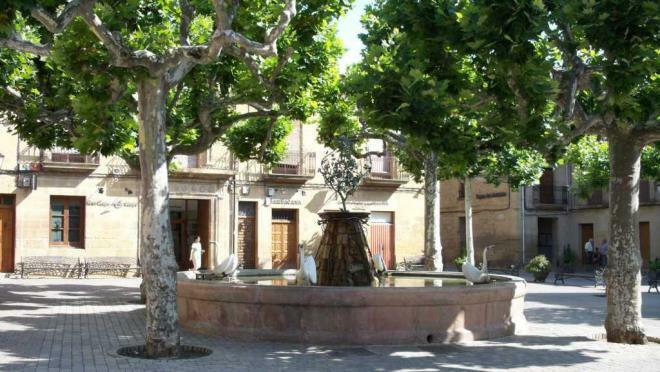 The villages of Peciña and Rivas de Tereso, forests and hiking. Download the free iPhone app provided by the San Vicente de la Sonsierra Council, which has lots of interesting information about the town: Link with information about the app and the download. -Location: It is part of the district of Haro. 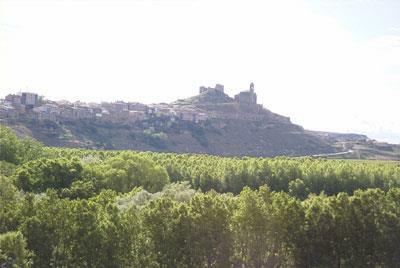 The town is on the left bank of the River Ebro in the area called the Sonsierra riojana. The mountains drop considerably in height from north to south in this district, with some mountains in the Toloño range at over one thousand metres whilst in the Ebro Valley, there are altitudes of under 500 metres. San Vicente and Ábalos are the only towns in La Rioja on the left bank of the River Ebro. 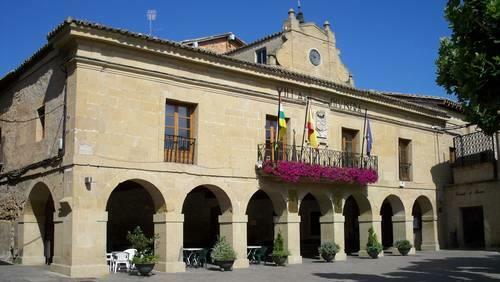 -Populated areas, neighbourhoods or villages: Peciña and Rivas de Tereso. 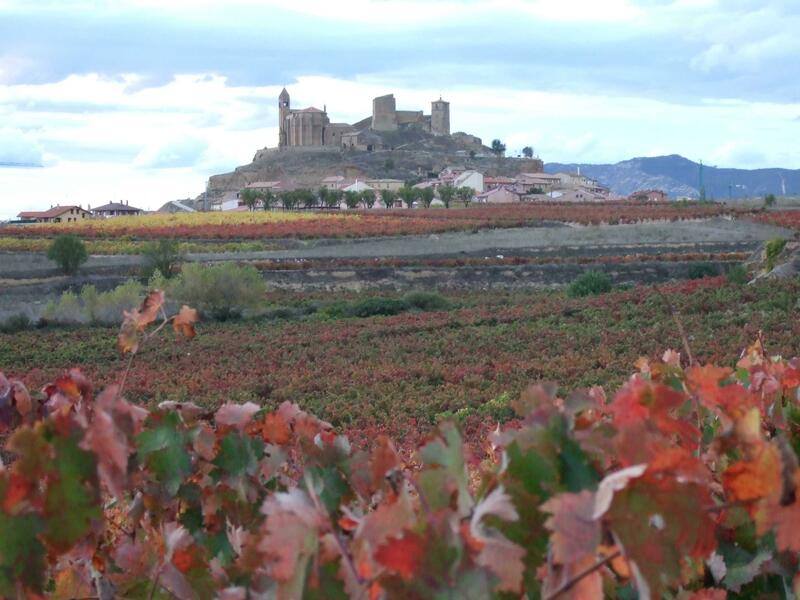 -Economy: These are farming villages, producing mainly grapes, grain, fruit and beet. There are some large wineries in the town. Monument ensemble, castle, fortress. The 16th century Gothic Parish Church of Santa María is a national monument. It is situated in the highest part of the village, over the castle ruins. It has only one nave and an extraordinary great reredos of Juan de Beaugrant. 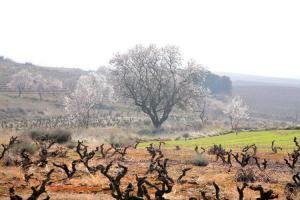 It overlooks the Ebro River. San Roque Chapel, 18th century. Local festivals: San Vicente, 22 January. Virgen de los Remedios: on 8 September.